I just love Deviled Eggs. I really make them all year long, however, it's a must to repurpose Easter colored eggs that are leftover. We usually have leftover hard-boiled eggs from Easter bread to use up also. 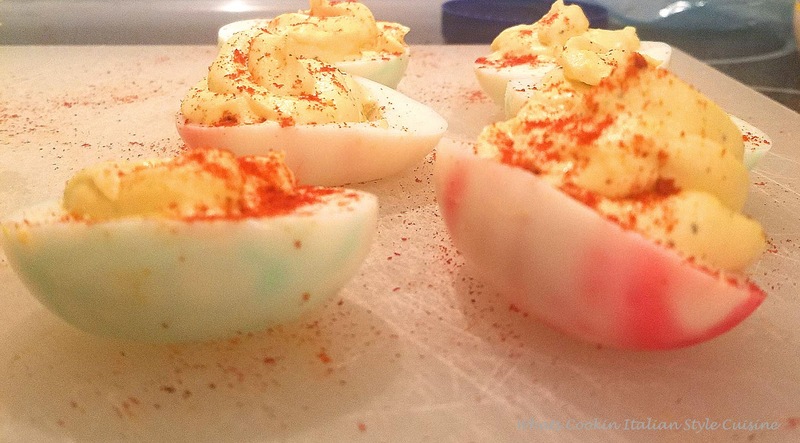 Here is an easy Deviled egg recipe that literally flies off the plate when I make them. Everyone loves them. I seriously love the addicting filling of hard boiled deviled eggs. The creamy filling with just a little spice makes all the difference in flavor. Mom made these after Easter every year. The family loved them so much, we started making them for an appetizer almost every Sunday since we ran out of them every time we made them. There is really nothing to the recipe. All you need is a few ingredients. Sometimes the keeping it simple is the best recipes. This one has been around for over 100 years and here we are still making it. I love to repurposed Easter hard boiled eggs. They are also so pretty with the coloring in them from the leftover dyed eggs. You may have read my natural dyed Easter eggs post in the past. They're not only prettier but healthier since the dye is all natural. After Easter we always have leftover dyed Easter eggs and the kids love to help make these. They are so easy. When I first started making these I used a spoon to fill them and still do when I am in a hurry. The zip lock bags work like a charm, but if you don't have one, I just use a teaspoon to filled them, messy looking but they sure still taste great! 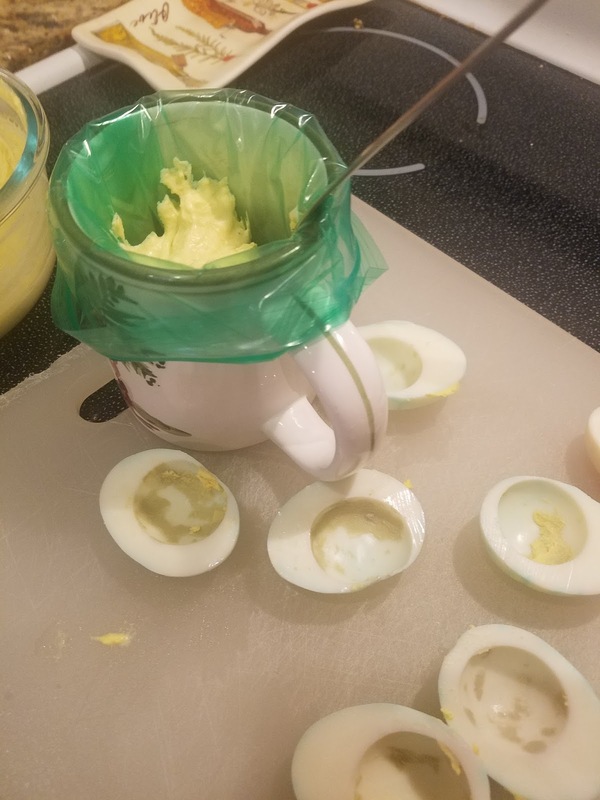 Add a plastic zip lock bag lining a coffee cup first, then spoon in the deviled egg mixture. Snip the end and fill your eggs with no mess! I also set the eggs in cold water after boiling, then leave in the refrigerator until cold before peeling off the shells. I have had deviled eggs with sweet relish added to them for more of a sweet flavor. I have also had them with chopped pieces of fried bacon another delicious addition. I love making the crackle eggs during the Easter Holiday. You can find the recipe HERE. These are so pretty when made into deviled eggs. The festive tray is loved by all my guests and they always want to know how to make them with all natural dyes. Around Halloween, I get out the green food coloring, some pimento stuffed olives sliced and ketchup. You know where I am going with this one right? Yep gory eyeball appetizers, I make them every year. 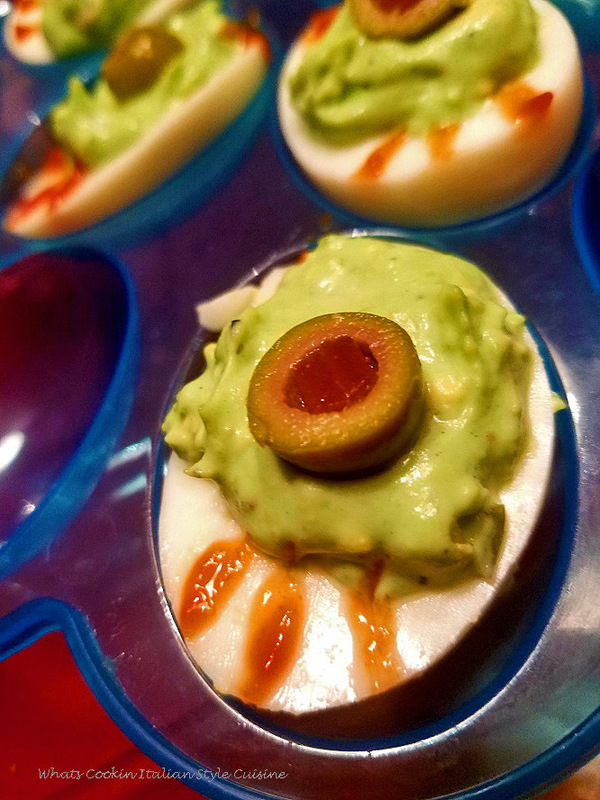 We all really love deviled eggs, so get creative for the holiday, tint them, and decorate to the Holiday Theme! Eggs are pretty inexpensive and cut in half they go further than most appetizers to make. The best thing about Easter egg and coloring them, is you get to make deviled eggs with the leftovers right? I made around 12 eggs and they flew off the tables, honestly, you need to make a lot of these from the get go! If you have leftovers, just chop them up in a bowl and save for egg salad sandwiches. I promise you these deviled eggs won't go to waste. These deviled eggs are an easy to make a recipe for that quick appetizer you need for any party or get together. Since they are always a big hit, this is my go-to recipe when I need to bring something for a dinner party as well. Place eggs in a large saucepan. Cover them with cool water by 1 inch. Slowly bring water to a boil over medium heat; when the water has reached a boil, cover and remove from heat. Let sit 12 minutes. Transfer eggs to a colander; place under cool running water to stop the cooking. Eggs can be peeled and used immediately. Hard Boiled Deviled Eggs are one of the old all-time favorites. We use them decorated for all occasions. Easter, Christmas, and even Halloween. Boil eggs for 12 minutes, cool in cold water. Peel off the shell. Cut each in half. Scoop out the yolk into a small bowl. Place empty whites of the egg halves on a plate. In the small bowl with yolks, add mayonnaise, mustard, spice and mix together until well blended with no lumps. Open the ziplock bag and place this mixture in the bag. Snip the end 1/2 inch. Pipe into the egg white shells to make a swirl effect. Serve immediately with sprinkles of parsley or refrigerate covered until ready to serve. Enjoy! These look fantastic. At my parents house each Easter there was a contest to see who could eat the most eggs, deviled and/or colored. The winner got to brag until next Easter that they were the champ. Maybe with the cayenne in these eggs somebody besides my dad would have won. Devilled eggs are definitely one of the best ways to use up those Easter eggs!!! Le uova sono protagoniste sulla tavola di pasqua. Ottimo piatto! I have been so "out of touch" with my blog for the last two days...other than just uploading my new post. 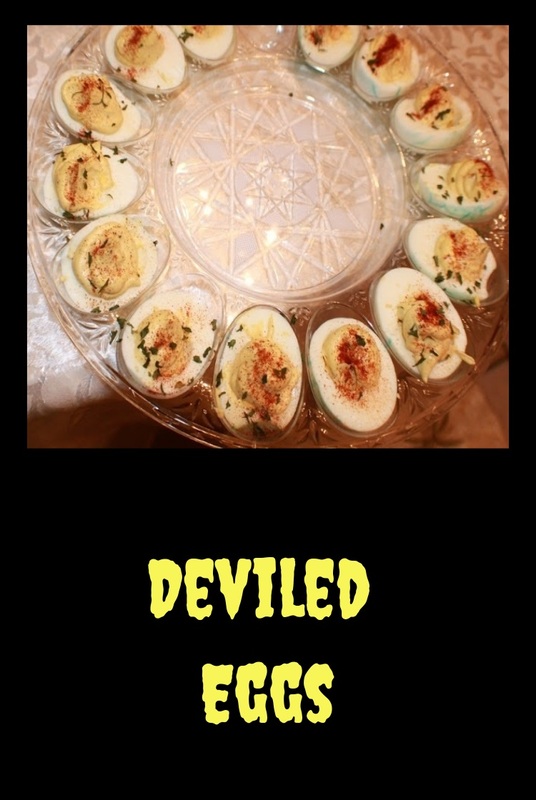 I love deviled eggs, and the recipe which is almost identical to mine, I did not bother to make deviled eggs this year. 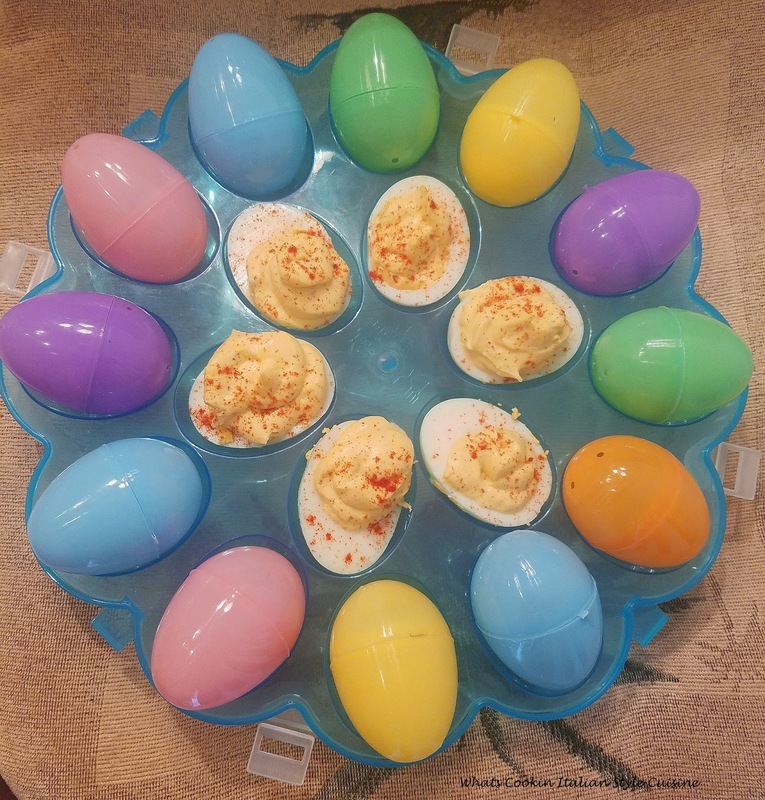 I did make plain hard boiled eggs, which I cut in half and served on a platter with other veggies...now, I feel guilty for not making the deviled eggs, after seeing your yummy eggs! I hope your Easter was a happy one, with lots of good food, and loving family! Adding the different spices as well as the spicy mustard does amp up the flavor of deviled eggs. My mom always put sweet pickle vinegar in hers, but I do like the more savory route you went with these. Now I am ready to taste some of these spicy gems-yum! I think deviled eggs are everyone's favorite. I bet they didn't last long. My fiance eats 6 hard-boiled eggs every day for breakfast, so we never have leftovers haha! But, I love hard-boiled eggs and love the use of a little spice in this recipe! Going to add a bit next time I make them! Deviled eggs are good any time of the day, season or holiday. Thanks for your helpful hints on making the perfect deviled eggs. May make some of your eye ball ones for our little monsters tonight. It's really very creative! A wonderful and easy recipe that will decorate any holiday. The recipe for these eggs really looks very appetizing. I would like to try. Thanks. I loooove deviled eggs, no I love anythine - EGGS! Deviled eggs when it's flavored with different spices is simply the best way to dress up humble eggs into something amazing. Your deviled eggs looks delicious! 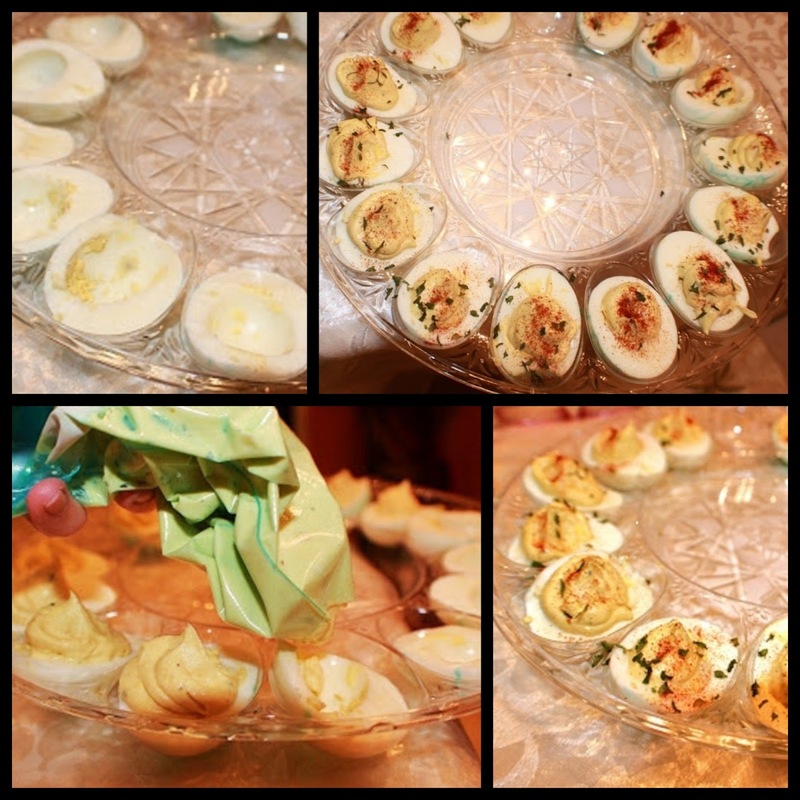 Deviled eggs are a must at any family celebration for us, honestly there can never be enough! I love the add-in of chopped bacon you mentioned, I have never tried that but will be adding it to our rotation now! 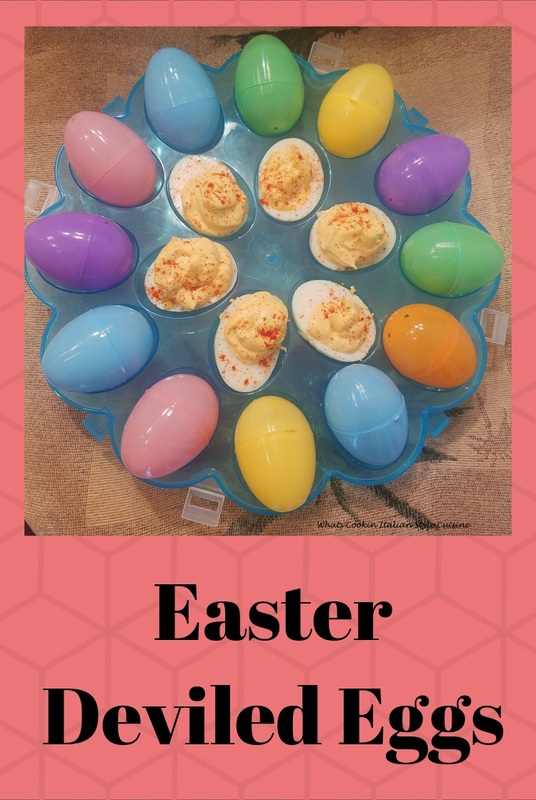 We love deviled eggs and I would make them for after school snacks. They would gobble them up in no time at all. We love it spiced up with lots of tasty seasonings. Deviled eggs are popular anytime. Yes good devils eggs is great appetizer. I love it. Your recipe sounds more flavorful than the one which I am using. I will give it a try.